This site and facebook will be archived and if you ever want to look back on previous scores, you can look at top 50 here and main server page here. It’s been a great journey and I wish everyone best of luck. After July, I didn’t feel like anyone was playing Halo anymore so I shut it down. I didn’t plan to come back. I really didn’t. However, after seeing that 125+ people viewed the shutdown post, I decided I would put it up one more time. I didn’t put up the Europe server though because I feel that was a waste of money. I also miss playing with the regular players. Hope to see you guys around! By the way, Anti-bot is off because barely anyone plays anymore and I think the botters are gone. By now, you guys may have released that the gamespy server shutdown. If you haven’t updated to 1.10 (or used the HAC2 mod), then you are NOT able to see any servers. If you have not done so, download all the files from here All the zip files come with instructions in them. P.S. Some people want the old gandanur server back. Yay or nay?  Gamespy shutdown the Halo Lobby. However, we were saved and given the 1.10 update. For those who don’t have the update yet, click here. I have updated the servers to 1.10 as well. It is also broadcasting on 1.09. I also have to confess, I am no longer modding maps. Boarding action is half finished and probably will never be. As expressed in the last update, I have moved on to other games. Education has also taken a huge part of my time as well. I am now just maintaining the server for pure fun and for friends. Boarding action may be finished one day, and it may not. You can only wish for the best. Many of you have wondered where the Europe server went. To tell the truth, it was compromised and hacked. It took me several days to find the cause of it, then it got suspended, then I had to ask the host to unsuspend it. That’s why it has been down so long. I hope you guys do play on that server because it took me a while to set all this up. For the first time, phasor is stable and is running on DEDiMods Main. For most of you, it doesn’t mean much; the server will continue as usual. For botters, that is a different story. Many of you have been used to botting on the server and laughing about how nothing is done about it. From this week alone, the server has banned thirteen people. If you feel you have been banned for no reason, here is how to get unbanned. Use the Unbanned page and submit the form. Write everything as accurately as possible. This should clear up all the questions about the recent bannings. We have all heard the announcement that GameSpy Technology is shutting down. I wondered if it would affect Halo and it looks like it will. On May 31st, you will no longer be able to see any other Halo servers anymore. HOWEVER, there is still hope. There is a mod that will let you view the multiplayer lobby. This mod will only work for Phasor and SAPP servers. The rest of the servers using Gandanur and Vanilla will not show up on this list. To get this awesome tool, click this link or go to the downloads page and download HAC2 before it is too late. This week will be the last week you will see DEDiMods. This server will be shutting down forever. It has been a marvelous 4 years of playing Halo but we can’t handle all the new players and don’t have resources to support all the new people flooding in. Also, the hard drive is failing so the mods will be lost forever. I am too lazy to make a backup and don’t want to deal with anything anymore. I’ve enjoyed most of you but there are some that are just assholes. I hope you find some other good server to play on and wish you good luck. Peace out. © 2019 DediMods Halo Servers. All Rights Reserved.